Like all my fellow savvy teachers, I’m always looking for affordable ways to repurpose classroom supplies. I don’t want any supplies to go to waste… especially on a teacher’s budget! 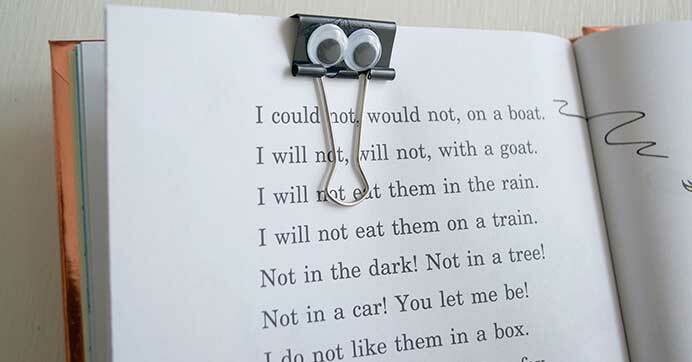 Did you know there are so many savvy ways to repurpose binder clips? They’re meant for a whole lot more than just holding together a pile of papers. I’m sharing a list of a few other ways that I enjoy using them around my classroom. Hopefully you can enjoy some of these ideas for your classroom, too… just in time for a new school year! Stock up on binder clips from Dollar Tree and don’t forget to grab the rest of your office and school supplies while you’re at it. 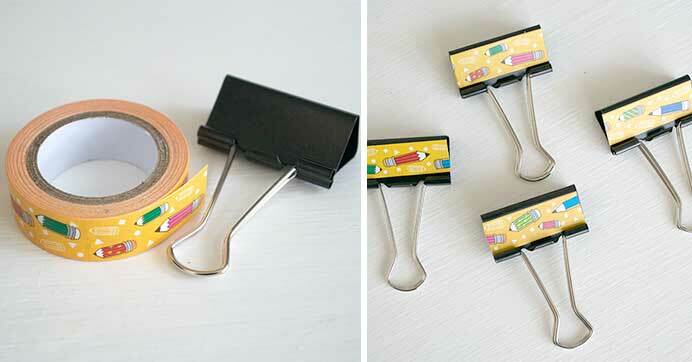 Apply decorative craft tape directly onto the binder clips to jazz up the traditional look. You can also use different styles of craft tape to help color-coordinate schoolwork and important papers. 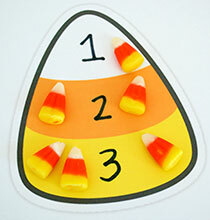 For example, orange craft tape can label homework, blue craft tape can label assignment handouts, and so on. 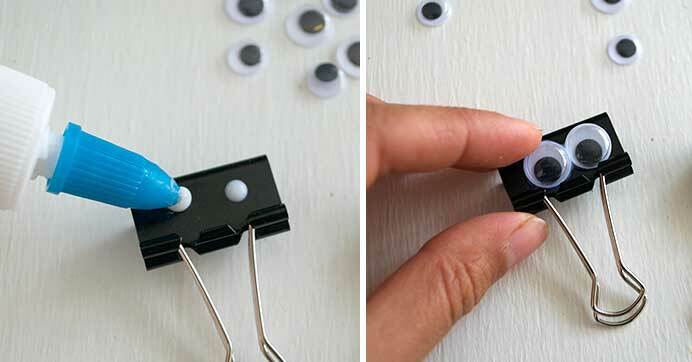 Plastic googly eyes aren’t just for crafting… glue a pair onto binder clips for a silly little treat your kids will love. Hand them out to students so they can use them as bookmarks or keep their schoolwork together. Want a casual and quick alternative to the traditional picture frame? 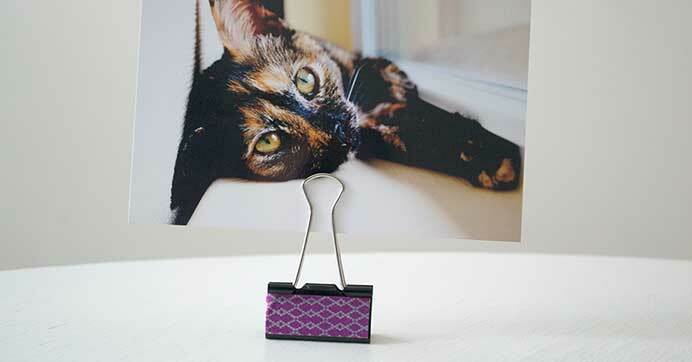 Decorate large binder clips and stand them up on their base. 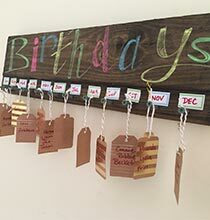 Use the prongs to hold signs or pictures that you can display on your desk and easily swap in and out as needed. 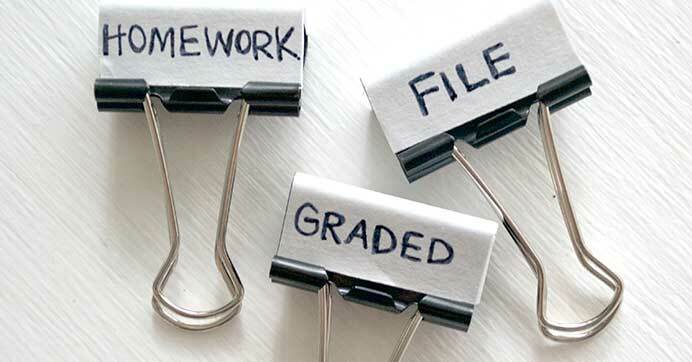 Cut and stick white labels onto binder clips and write directly on them with a marker or pen. Use these instead of traditional tab dividers to organize your binders, notebooks, cabinets, and more. Keep extras on hand all year so you can make as many as you need to keep your documents clearly labeled and easy to find! 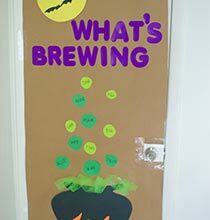 Check out some of my other teacher ideas on the blog!